Following an acclaimed first season earlier that debuted this year, the Netflix talk series My Next Guest Needs No Introduction with David Letterman has been officially picked up for a second season from the streaming service. Deadline first reported the news. 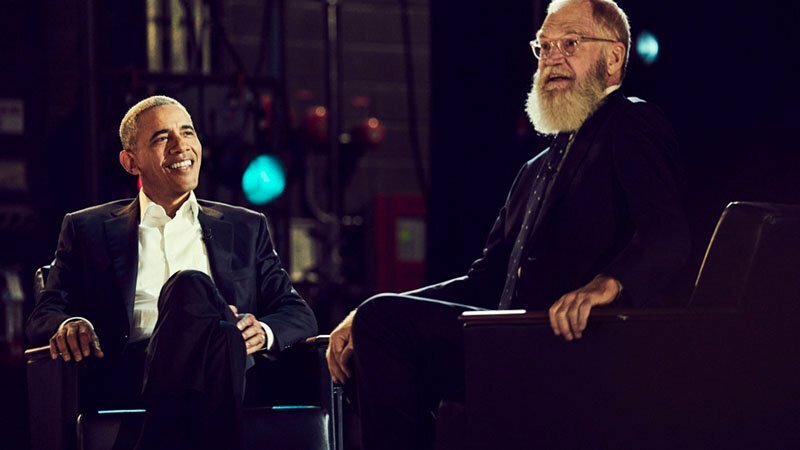 Letterman’s lineup of influential guests included George Clooney (Money Monster), Malala Yousafzai, Jay-Z, Tina Fey (Unbreakable Kimmy Schmidt), Howard Stern and President Barack Obama, who was Letterman’s first guest on January 12 and served as Obama’s first television talk show appearance since leaving office. Field segments brought Letterman to locations far and wide, expressing his curiosity and desire to dig deeper on a specific topic related to the iconic guest featured in the episode. The renewal comes at a time where Netflix has kept pushing forward into the talk show format with the premieres of Norm Macdonald Has a Show in September, Patriot Act with Hasan Minhaj in October and A Little Help with Carol Burnett in May, as well as ordering a film adaptation of the acclaimed Funny or Die talk series Between Two Ferns with Zach Galifianakis. The six-episode second season of My Next Guest Needs No Introduction with David Letterman is set to premiere sometime in 2019. The post David Letterman’s My Next Guest Renewed For Second Season appeared first on ComingSoon.net.